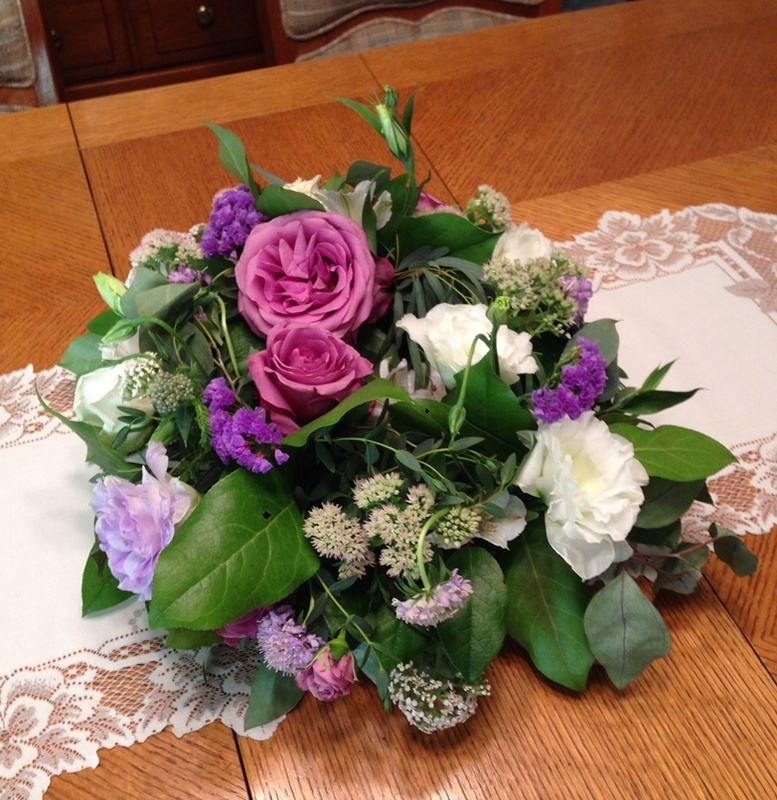 I know it was over a month ago, but here is a wedding flower centerpiece. It still looked pretty for this picture even though it had been through a lot. I had put water in it after the wedding, but it got soaked up by something else that was put in the container. And then we had to drain it for the ride home because we don’t want water sloshing around in the car. They had beautiful arrangements. I got another one and didn’t take a picture of it. But here is this one for today’s Friday Photo.